The area of Crozes-Hermitage in France's Northern Rh�ne Valley has seen a fair bit of growth over the past decade and the quality of the wines is typically pretty good. Syrah is the sole red grape, but the wines can be blended with up to 15 white grapes (Marsanne and Roussanne). The nearby appellation of Saint-Joseph is a bit smaller, but produces a number of exceptional wines. Both these appellations are in the shadows of the prestigious Hermitage and C�te-R�tie wines. Many vintners with those prestigious appellations in hand also produce Crozes-Hermitage and/or Saint-Joseph wines as well. We did include one Saint-Joseph wine as we had a couple of bottlings from three different winemakers. 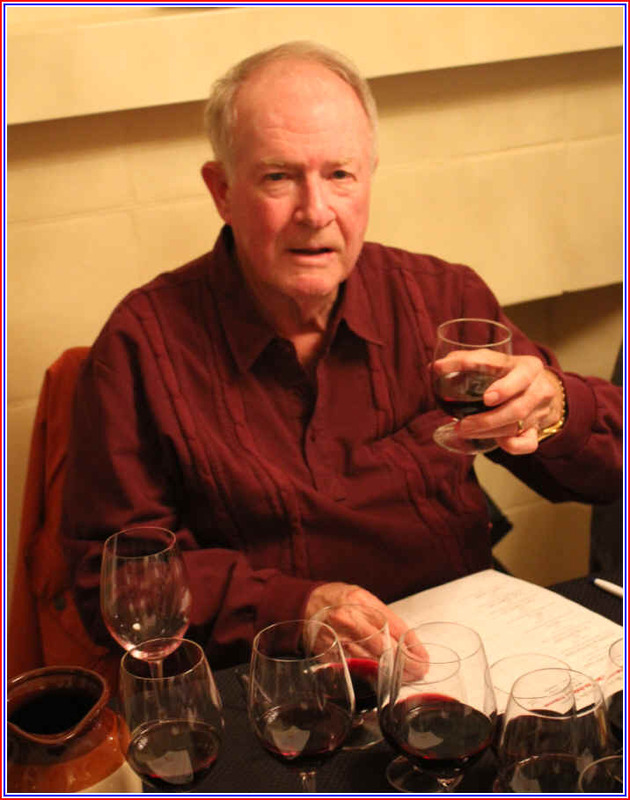 The tasting participants were a bit new to Northern Rh�ne Syrah wines. 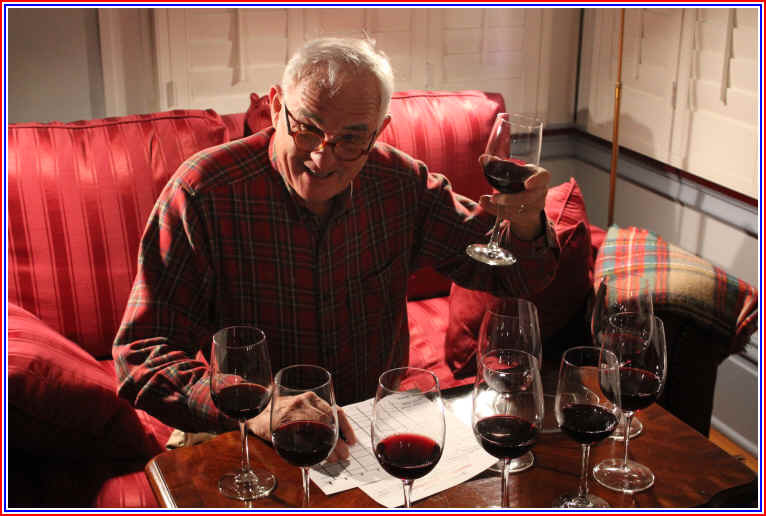 Some of the elements we like in these wines may be an acquired taste, as you might notice from my first place wine being the last place finisher in terms of the group ranking. 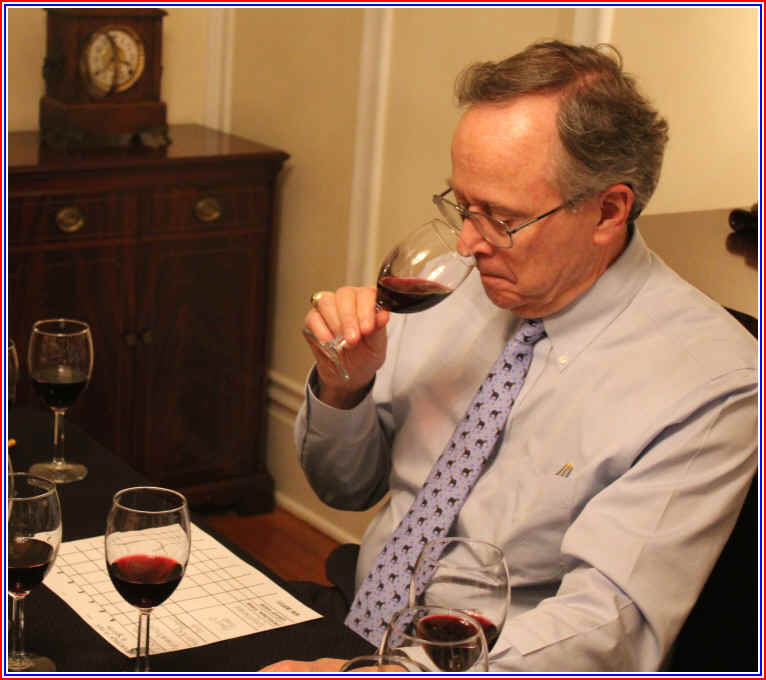 In terms of statistics, please notice that three wines were in a heated race for top honors. 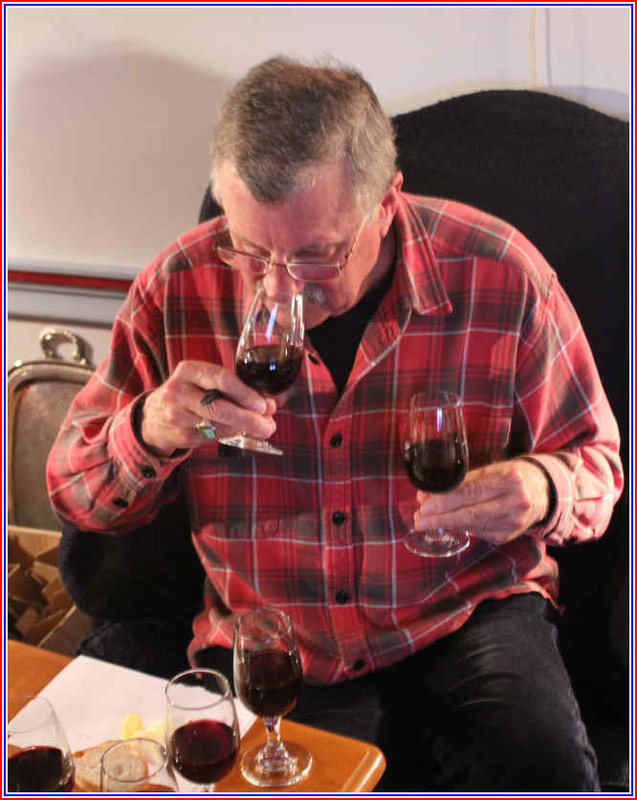 The first three wines were separated by a mere two points! 8th Place: ALL�NO & CHAPOUTIER 2013 CROZES-HERMITAGE "Guer-Van"
My first place wine and yet the group ranked it last, with half the tasters putting this in 8th place! It was clear in appearance and medium+ garnet in color. I was enchanted by the light pepper & spice notes with some dark berry fruit. The wine was dry and nicely acidic, with medium body. Where this really expressed its Rh�ne character was with its flavors showing the spice, berries and somewhat "wild" green olive tapenade quality on the palate. For me this was classic Rh�ne Syrah, while for many of the tasters it was an outlyer. There's a modest level of tannin to this, by the way and I suspect it will be rather showy a few years down the road. I gave this two stars on my three star scale, no stars being a wine of average or standard quality. Medium+ garnet in color and clear in appearance, this wine had but one real fan, The funky fragrances of the leathery, horsy notes of Brettanomyces are appreciated by some tasters, but not many on this tasting panel. The aromas were wild and herbal but the overriding character was the leathery character of the Brettanomyces which some people consider to be a sign of spoilage. On the other hand, we know some wine aficionados believe for a Rh�ne wine to be considered great, it must show elements of Brett. Our view is that if it's present to a small degree, it may be adding a note of complexity. This wine, though, has more than a note...it takes center stage here and dominates which accounts for my last place ranking. No stars. Clear in appearance and showing medium+ garnet color, there's a pleasantly berryish fragrance to this wine. It's fruity and clean, in contrast to the 7th place finisher. Dry and mildly acidic, this is medium- in body. The flavors are a bit shallow and simple...perfectly pleasant though not exciting. It's a well-made wine from a technical perspective, but nothing hugely special. Maybe another year or two in the bottle will allow this to imporve. Presently I'd give it three-quarters of a star. 5th Place: CHAPOUTIER 2016 CROZES-HERMITAGE "Petite Ruche"
Clear in appearance and medium+ garnet in color, I found the nose of this wine to be very promising. There's a woodsy element to start and this gives way to fragrances of mint and spice. The wine is dry and mildly acidic with medium body. Those elements on the nose come through on the palate of this fine, somewhat lean red. It's a bit shy presently, but probably will blossom with several years of bottle aging. I gave it one and a half stars at this time, but expect it will repay aging and warrant a higher rating. Medium+ garnet in color and clear in appearance, this wine offered a mild or lightly berryish aroma to start with other red fruit notes. It's dry and mildly acidic with medium body. The wine is a bit shy on the palate with standard red fruit notes but not much personality I'd immediately identify as Syrah. It's difficult to predict whether this wine will develop its Rh�ne personality or if it will remain a bit anonymous. I gave it three-quarters of a star. 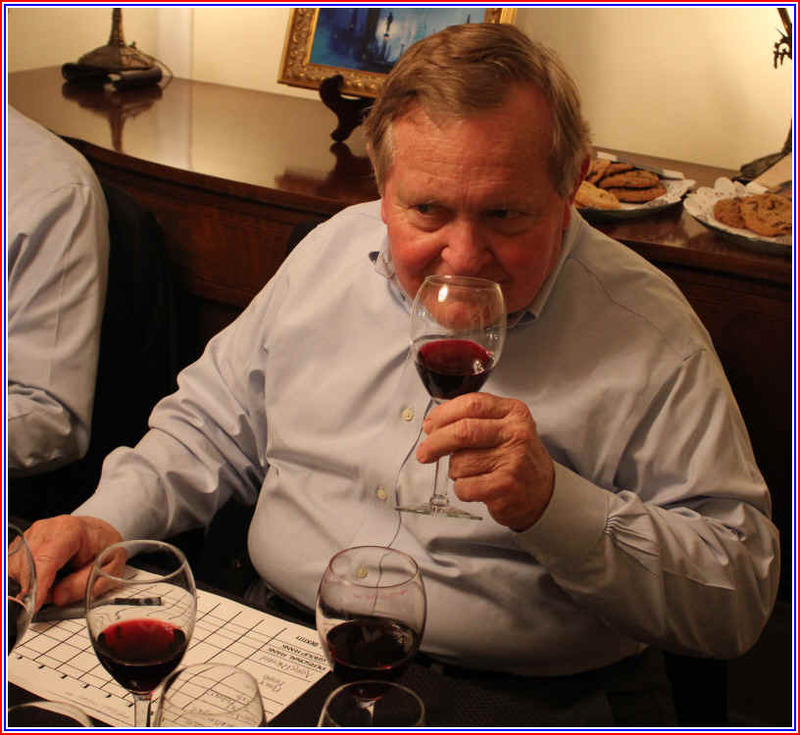 3rd Place: ALL�NO & CHAPOUTIER 2011 SAINT-JOSEPH "Couronne de Chabot"
This was a blind tasting, so no way to know, having liked one of their other wines, that I'd rate this bottling in second place behind my first place pick. Medium+ ruby in color...a bit darker than most. The fruit is beautifully intense with some spice notes, but not so much the pepper notes of their Crozes-Hermitage. It's dry and nicely acidic with medium+ body. Very fine on the palate with spice notes and good concentration. I gave this a two star rating...it's a shade less "wild" than their 2013 Crozes-Hermitage. 2nd Place: P&V JABOULET 2012 CROZES-HERMITAGE "Nouvel�re"
Medium garnet in color and clear in appearance, this wine has some pleasant berry notes on the nose but not the spice we look for in Syrah. It's dry and sports mild acidity. Medium bodied. A well-made red but not especially profound. 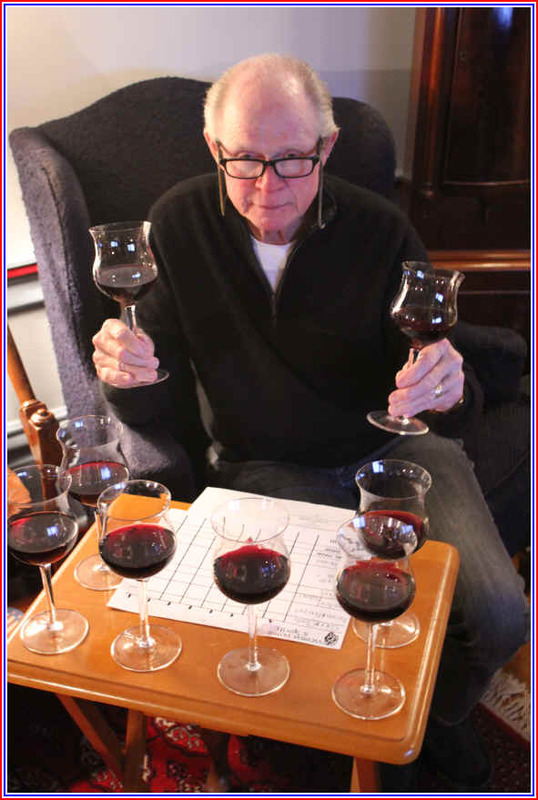 I think some of my high-ranked wines had more Rh�ne character. I gave this three-quarters of a star rating. 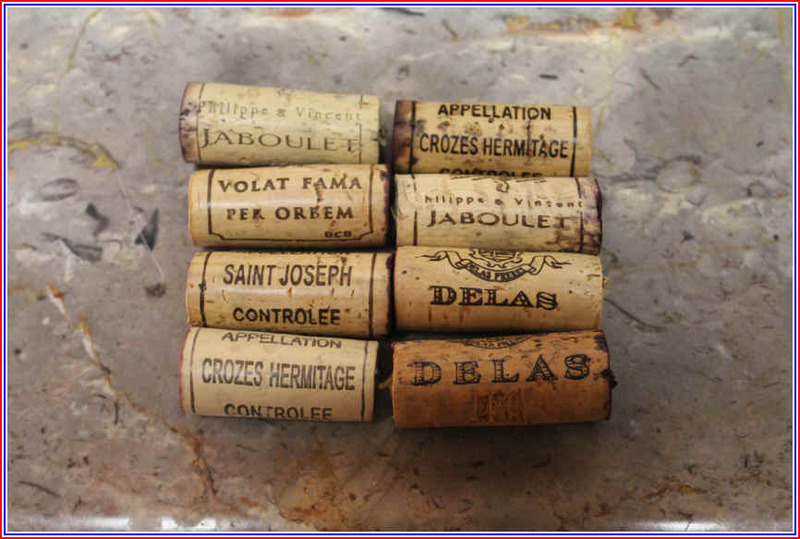 1st Place: DELAS 2015 CROZES-HERMITAGE "Le Clos"
Medium ruby in color and clear in appearance, this showed intense blackberry fruit notes...dark fruit and nicely intense. I didn't detect much in the way of spice or oak, but the fruit is quite charming. It's dry and mildly acidic being medium-full to full-bodied. It's probably the most dense wine of the flight. I felt it needs time to blossom though there is a measure of charm and interest at the moment. It finished in third place for me, behind two wines that showed more spice of the Syrah and perhaps a bit more terroir. One and a half stars presently, but likely to warrant a higher rating with three to five (or so) more years of cellaring.